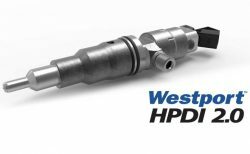 Westport Fuel Systems Inc. reports it has entered into definitive development and supply agreements with Weichai Westport Inc. (WWI) to develop, market, and commercialize a heavy-duty, natural gas engine featuring the Westport HPDI 2.0™ technology, based on one of Weichai Power Co., Ltd.’s heavy-duty engine platforms. Weichai Power and WWI are affiliates of the Weichai Holding Group Co., Ltd (Weichai). Under the new development program for the Chinese market, Westport Fuel Systems will support the adaptation of the Westport HPDI 2.0 technology onto one of Weichai Power’s heavy-duty engine platforms, building on the years of experience WWI has with Westport HPDI technology. The new natural gas engine will be certified to meet China VI emissions standards and is expected to be launched in the second half of 2019. Once in production, Westport Fuel Systems will supply critical HPDI 2.0 system components to WWI, each of which is required for every HPDI 2.0 engine sold by WWI. WWI has committed to purchase HPDI 2.0 system components required for a minimum of 18,000 HPDI 2.0 engines between the launch date and the end of 2023. In addition, Westport Fuel Systems will receive a royalty payment from WWI for each engine sold in consideration of the HPDI license rights provided to WWI. WWI will market and sell the heavy-duty natural gas engines with the Westport HPDI 2.0 technology to various truck original equipment manufacturers (OEMs). Westport Fuel Systems will supply the HPDI 2.0 system components on a limited exclusivity basis. Under the terms of the agreement, Westport Fuel Systems is precluded from selling these system components for use in commercially available engines sold in China with the exceptions of certain global OEMs and their affiliates, for a minimum period of five years from the date of execution of the development agreement, subject to WWI meeting defined volume targets. Other key terms of the agreements, such as pricing, have not been disclosed for competitive reasons or due to confidentiality restrictions. Founded in 1946, Weichai Group is one of the biggest automobile and equipment manufacturing groups regarding comprehensive strength in China. The group has achieved 220.7 billion RMB sales income in 2017. It possesses six business platforms, namely powertrain, intelligent logistics, automotive, construction machinery, luxury yacht and finance & service. Canadian company Westport Fuel Systems invents, engineers, manufactures and supplies advanced clean fuel systems and components that can change the way the world moves. Its technology delivers performance, fuel efficiency and environmental benefits to address the challenges of global climate change and urban air quality. Headquartered in Vancouver, Canada, it serves customers in more than 70 countries with leading global transportation brands. For more information, visit www.wfsinc.com.